Who doesn’t love May flowers? Join Gina and Sandra from 1st Avenue Collective for an evening of fun and creativity at Twisted Vine Brewery. 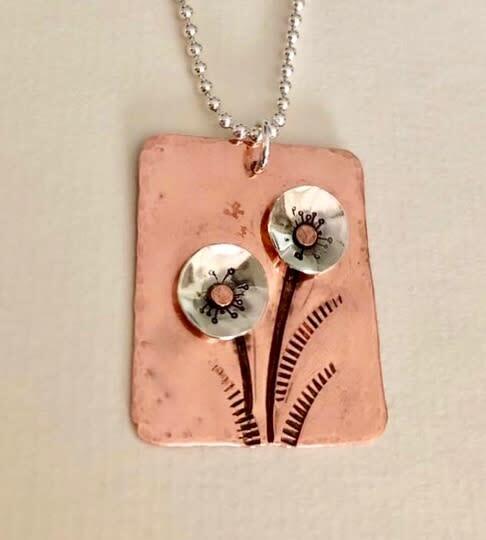 Sandra and Gina will teach you metal forming, texturing, stamping and riveting. 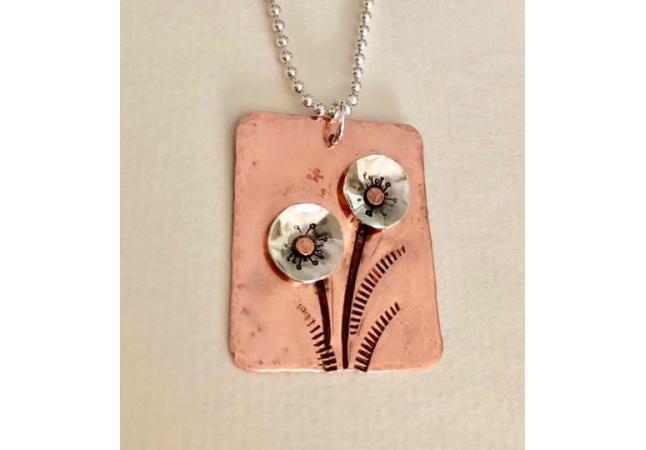 The copper and sterling silver pendant will hang on an 18” sterling silver chain. No jewelry experience needed just a desire to create. Price includes one drink. This is a 21 and older event. Registration is required.